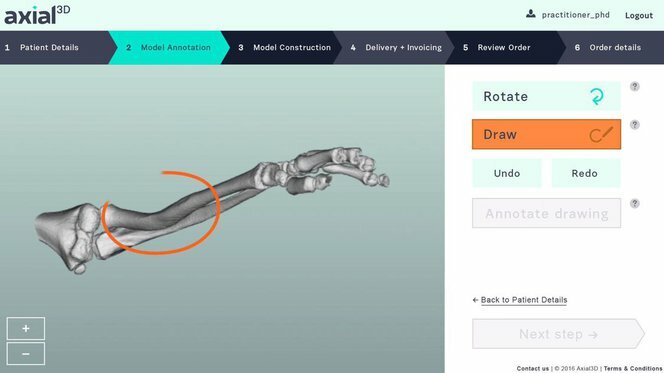 Watch a webinar, where Katie McKinley, strategic partnerships at axial3D, and Gaurav Manchanda, director of healthcare at Formlabs, will walk through a case study on using axial3D and the Form 2 printer to produce a model for a spinal surgery, along with other examples across cardiac, trauma, orthopedics, and oncology. Patient-specific anatomical models are becoming widely used in modern surgery. Tangible models can enhance surgeons’ understanding of a patient’s unique needs, support advanced surgical planning, and improve communication and consent with patients and their families. Axial3D’s goal is to make custom 3D printed medical models accessible to more healthcare providers. The company combines in-house expertise and state-of-the-art segmentation software to process 2D DICOM image stacks into 3D printable files, then uses a fleet of six Form 2 stereolithography 3D printers to cost-effectively print detailed, 1:1 scale physical models. 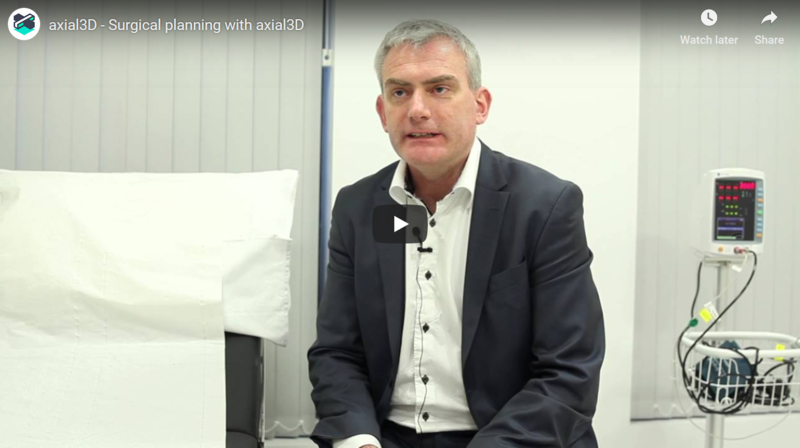 Axial3D is the only vendor of preoperative planning models approved by national health agencies in both Ireland and the UK. 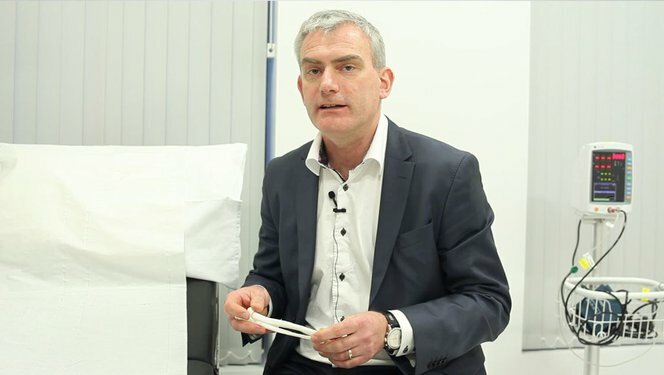 In just three years, Axial3D has helped over 150 surgeons and 50 hospitals in the UK and Ireland leverage the benefits of custom models, including Musgrave Park Hospital in Northern Ireland, where orthopedic surgeon Dr. Michael Eames was faced with navigating the complexity of a young boy’s forearm injury. Using a 3D printed custom tactile reference model, printed on the Form 2 and provided by Axial3D, Dr. Eames was able to better understand the abnormalities of the boy’s bones in ways not possible with the 2D visualization from the CT scan. The procedure that followed was 88 percent shorter than the standard treatment, and resulted in 90 percent range of movement in the boy’s arm with no pain, plus less scarring and recovery time. Ulster Hospital and Dr. Eames used Axial3D’s software to convert the patient scan to a 3D printable model. A boy and his family approached Dr. Michael Eames with an old injury that was beginning to cause problems. The boy had broken two bones in his forearm several years prior, but the bones had healed abnormally, preventing him from fully rotating his arm. He had just 50 percent rotation, and new pain was developing. The parents worried that the pain could become worse as their son grew, and that limited arm rotation could impact his sporting ambitions and day-to-day routines. X-rays and a CT scan revealed a complex deformity of the boy’s radius and ulna. The standard treatment for this type of deformity is to regain rotation by trying to reshape the forearm bones—an invasive four-hour osteotomy. Axial3D used the boy’s CT scan to create a 3D model, then 3D printed the radius and ulna on the Form 2 using White Resin. 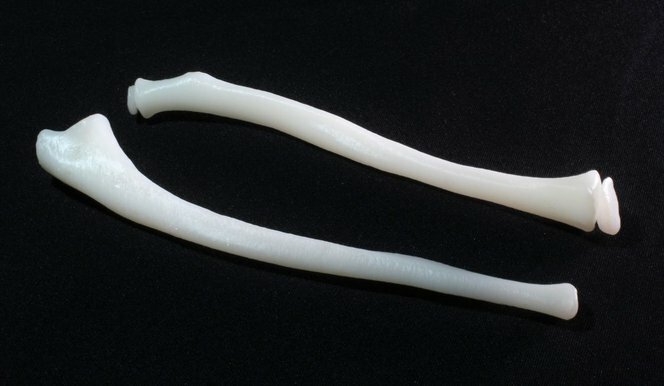 Before committing to the procedure, Dr. Eames decided to have models of the patient’s bones 3D printed. The results were enlightening. Axial3D segmented the boy’s CT scan to create a 3D printable file, then used the Form 2 and Formlabs White Resin to 3D print a 1:1 replica of the boy’s forearm bones. This analysis completely changed the course of the treatment. Dr. Eames explained the benefits of the soft tissue procedure to the boy’s parents: the new procedure would be much less invasive, decrease rehabilitation time, and produce far less scarring. Dr. Eames used the 3D printed bones to talk through the concept, and the parents agreed. Dr. Eames found the 3D printed models to be invaluable in planning the successful operation. The successful surgery was completed in just under 30 minutes—a decrease of over three hours from the originally planned time in the operating room, saving the hospital an estimated $5,500. Subsequently, the patient spent less time in postoperative care and recovered faster. Four weeks after the operation, the boy had 90 percent range of movement in his arm with no pain. 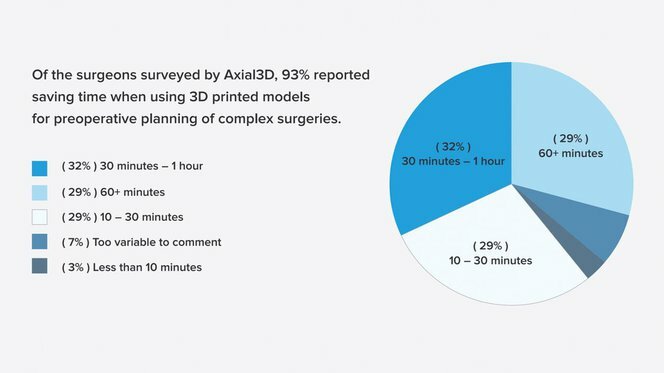 Axial3D has worked with hundreds of surgeons to provide patient-specific models for preoperative planning, prefit medical equipment, and patient and medical education across specialties. The company offers plans for both DICOM segmentation and 3D printing services. Surgeons using 3D printed models on average cite that reduced theater time is the biggest benefit, followed by enhanced understanding of a patient’s anatomy not possible with 2D images. Surgeons reported a reduction in theater time when conducting complex surgeries. 3D models provided deeper insight of abnormalities not possible with 2D images or 3D visualizations. Models provide operating teams with greater confidence and also enhanced team communication. Models aid in communication with patients, leading to more inclusive health care decisions. Surgeons who use 3D printed models for preoperative planning on average save 30 minutes to an hour of theater time for complex surgeries. In some cases, like Dr. Eames’, surgeons report savings over an hour. Surgeons who use 3D printed models for preoperative planning on average save 30 minutes to an hour of theater time for complex surgeries. In some cases, like Dr. Eames’, surgeons report savings over an hour. 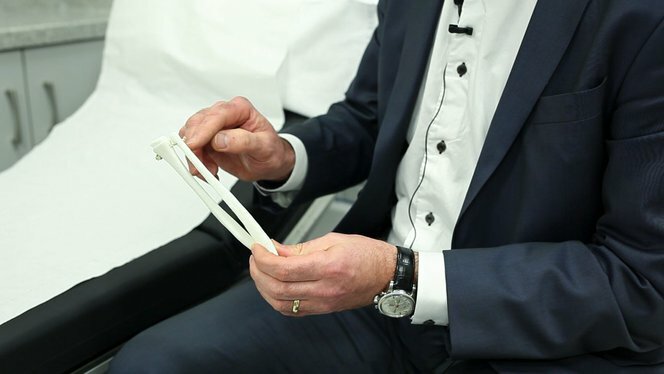 A patient-specific model 3D printed on the Form 2 helped Dr. Michael Eames lower theater time by 88 percent—saving approximately $5,500—and decrease his patient’s risk and recovery time. We invite you to learn more about how 3D printing is impacting the healthcare market.